DMG Australia will showcase the latest in DMG simultaneous CNC 5-axis machining for the advanced user in aerospace, toolmaking, die and mouldmaking. Also on display will be the company's range of CNC milling machines, CNC turning machines, lasermachines and ultrasonic machines. 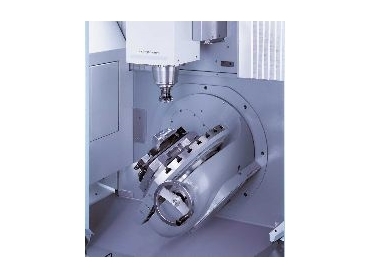 DMG Australia is part of the number one CNC machinetool manufacturer Gildemeister. Comprising the well known brands Deckel, Maho and Gildemeister the company is highly recognised for high quality machinery and for its leadership in technology innovations. Since its establishment as DMG Australia in 2000 the company has rapidly grown with a strong expansion of its Service Team in recent months. Senior product manager from Germany, CEO for Asia Pacific region Dr Thorsten Schmidt will be available at Austech to meet with customers. DMG Australia is at stand C30 in the Austech Pavilion at National Manufacturing Week 2005, in Melbourne, May 10-13.